Culture, Mt Everest Base Camp and Kayaking/Rafting on Roof of the World 2019. 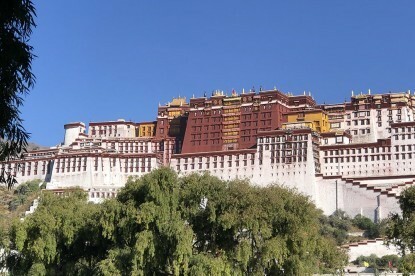 Famous Potala Palace where Dalai Lama use live and capital of Tibet Lhasa. Five rivers and Mt Everest Base Camp visiting and paddling on Rong Chu for two nights three days Rong Chu river runs through Everest base camp. 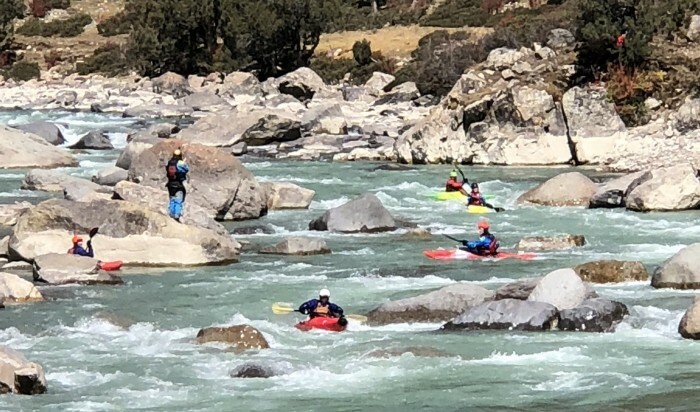 After paddling three days downstream from EBC we will continue our journey to the Nepalese border back to Kathmandu and you will fly home from Nepal. From most descriptions of Tibet, it is hard to believe that Tibet is home to a large number of spectacular rivers. Mt Kailash, in the west of Tibet is the source of the subcontinent’s four greatest rivers: the Ganges, Indus, Sutlej and Brahmaputra. In the east, the forested land of Kham is home to the source of the Mekong and the Yangtse, the 2 largest rivers in East Asia. In the summer months, regular rains swell Tibet’s rivers and the result is a surprising number of world-class rafting and kayaking rivers. 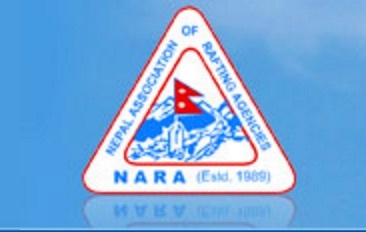 Adventure Hub Nepal (AHN) have our partners in Tibet to organize all the official permits to operate rafting and kayaking trips. 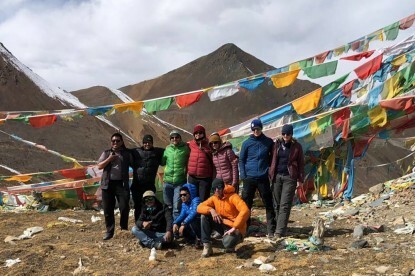 We employ international guides who work alongside our Tibetan guides to ensure a very high standard of safety, service and cultural experience. We also run a variety of trips that combine some of the striking cultural visits in our general catalog with rafting and camping in areas of overwhelming beauty. We also have the ability to suggest, guide and handle logistics for first descents by experienced kayakers or rafters. All our international guides are trained in wilderness first aid and river rescue. 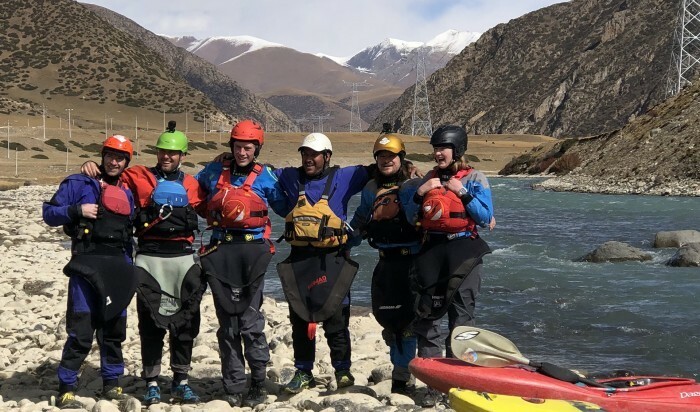 Our international rafting guides and safety kayakers have extensive experience running challenging whitewater expeditions in the Himalaya and elsewhere. Expert safety kayakers are used on every whitewater run. Ram Bhandari is your trip leader who has had over 20 year’s experience in guiding, instructing, and managing rafting and other outdoor adventure operations around the world. All clients are provided with international standard safety equipment including a full wetsuit, helmet and buoyancy vest. We use state of the art rafts, kayaks and equipment. 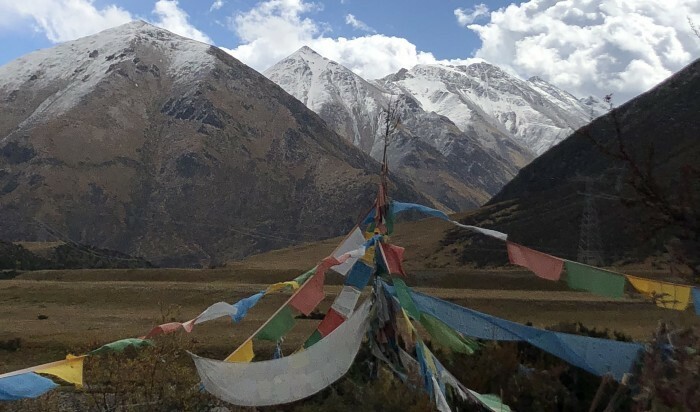 When we design your itinerary, we consider seasonal weather patterns, water levels and temperatures, altitude, accessibility, as well as surrounding scenery and cultural sites to ensure that you have the best possible experience in Tibet. Fly to Chengdu (in China) from your home country and then Chengdu to Lhasa. End of the trip, fly back from Nepal Kathmandu international airport to your home country. Optional: to fly back from Lhasa to Chengdu and Chengdu to your home country. This is a suggestion if you decide to go through Nepal to Tibet you will need three days extra in Kathmandu before the trip to apply for the Chinese visa and Tibetan permit. Note: You can buy air tickets from your home country to Chengdu and from to Lhasa and return Kathmandu Nepal international airport. It might be cheaper for people to buy tickets this way. If people are keen to go via Nepal then you need to talk to AHN about the ticket from Kathmandu to Lhasa return because we have to stay three days in Kathmandu get our Chinese visa and Tibetan permit. Lhasa breakfast included only in the hotel you are staying. Travel insurance (recommended) with rescue helicopter included in your insurance. Flight ticket to and from Tibet. Flight ticket from ether Chengdu to Lhasa both way or Kathmandu to Lhasa Both way. You will arrive in Lhasa stay in hotel Yabshi or Kiychu and relax after jetlag. Get acclimatized to the altitude of Lhasa which is around 3600 meters. We will do sightseeing around Lhasa and have an acclimatization day, it’s very important that everyone gets used to the high altitude. We will go to visit the famous Patala Palace and a couple of monasteries where all the monks do their meditation and prayer. We will head to the river today and test out how we are feel paddling in the highest point in world. It’s a fun whitewater paddle only 1 hour from Lhasa. 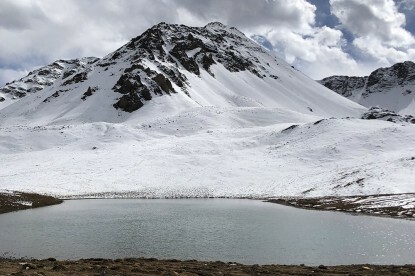 It is a perfect warm up for paddling in Tibet but it is recommended that you are physically fit and have acclimatized in Lhasa for a few days prior. We will paddle 2 and half hours on the lower section of Tseuphu Chu. This incredible river was first paddled in 2005. We take a gear boat and say good-bye to the road for four days, carrying our supplies along with us. We access the Reting Tsangpo by its north fork, beginning as a small alpine stream with amazing views of the Nyenchen Thanglha range near Namtso. The north fork enters the main river on day 2 and we paddle big water through incredible alpine juniper forests and past nomad camps. In high water, big volume rapids are interspersed by lazy flat sections and awesome surf waves for kayakers. This is the quintessential Tibetan rafting experience. It’s a wonderful mix of mountains, Tibetan nomads, monasteries and the whitewater is bound to make this a classic. We will have an early morning breakfast and drive to the put in point and depending on the time when we arrive will determine if we paddle that day. If we arrive on or before lunch time then we will paddle a couple hours today, if we arrive after lunch we will stay overnight at the put in point, driving is 4 hours. Delight in another day of paddling and exploring Tibet and its monasteries and incredible landscape. This day will be our last full day on the water paddling the spectacular Reting Chu river. Let’s enjoy this as much as we can, as we experience the beautiful views and the way the nomads live their everyday life. Camp and load the van and truck for our next river, the incredible Drigung Chu for the following day. After breakfast we will drive to the Drigung Chu River. Arrive at the relaxing Drigung hot springs and set up camp on the river side. Head up to visit the hot springs and then prepare for our next paddling day. The Drigung Chu is situated in an exquisite alpine valley about 2 hours from Lhasa. Continuous exciting class III rapids are interspersed with incredible granite gorges and challenging class IV rapids. 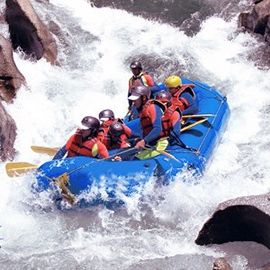 The 2-day trip has jam packed whitewater and also includes a visit to the Tidrum Nunnery and hot springs. This run is quite technical so you will be expected to paddle often. This trip is for those looking for an exciting river adventure in a unique environment. Our guides feel this run is the most beautiful river in Tibet. After breakfast we will visit the hot springs and nunnery and after lunch we will do kayaking and rafting and camp at the riverside. Today we will have a nicely cooked breakfast prepared by our Tibetan cook and then pack up everything onto our truck or van and then get on the water for another wonderful day paddling on the Drigung chu. After we finish paddling we will drive to Lhasa around 3 and half hours. After a quick breakfast we will drive to the Yarlung Tsangpo River which is the biggest river in Tibet in terms of volume and paddle for two days. Enjoy a couple of hours of amazing whitewater in the afternoon. Find a nice camp spot with a sandy beach and enjoy our night out in the Tibetan river environment. After breakfast, we will pack up all our gear in to our truck and van. This will be; anything that we are not going use on the water apart from our paddling gear. Paddle for a couple hours until lunch time and then pack up everything for the last time into the truck including all our kayaks and rafts. Sit back relax and enjoy the scenic drive back to Mt Everest Base Camp, top of the world! today will continue drive to Mt Everest Base camp and stay overnight in lodge or camping and get ready to explore EBC following day plus paddle one night two days Rong Chu River. 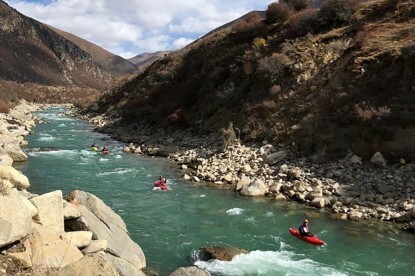 Visit EBC and Paddle Rong Chu all the rafters can do day hike and explore base camp when Grade 4+ kayaker do paddling Rong Chu river on day 16, As of day seventeen and eighteen whole group will paddle Rong Chu river. For many people, the main reason they go to Tibet is to see the amazing view of Everest’s famous North Face. The view of Everest from the Tibet side gives a clear, sweeping view of the mountain. The view of Everest and the Himalaya from the Geu La Pass is located along the way to base camp. Everest Base Camp (EBC), elevation 5200 meters, is nearly 800 kilometers (500 miles) southwest of Lhasa. 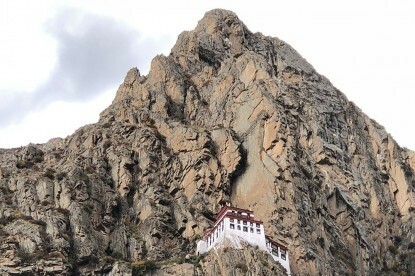 We will visit the many amazing sights along the way to EBC such as Yamdrok Lake, Gyantse, Shigatse and Sakya Monastery. 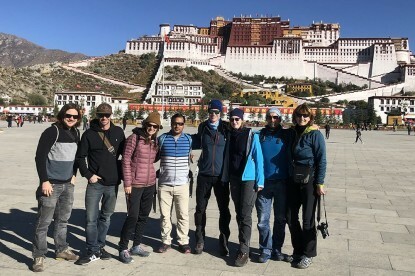 Altogether this is a journey going from Lhasa to Everest Base Camp and then we continue through to the Nepalese border after our Everest base camp journey. This is great opportunity for people to visit top of the world! 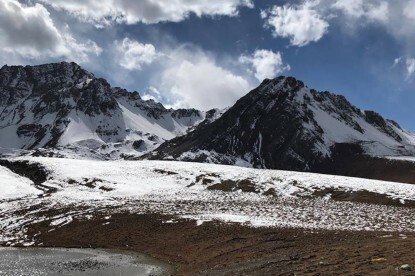 On the Tibetan, no hiking is required to reach base camp. We can drive all the way to Everest Base Camp from Lhasa. Without a climbing permit, this is the closest to the mountain where you can spend the night. We will visit Rongphu Monastery located at Everest Base Camp. Though EBC sits at nearly 5200 meters, it is relatively rare to see heavy snow on the ground in the area. While snow does fall in the region, the strong rays of the sun quickly melt away the snow. Can you see Everest from the main road that connects Lhasa to the Nepal border? Yes, there are a few places that you can see Everest from the main road, but none of the views are very good. You will only get a very small glimpse of the mountain. In order to really get a good view of Everest you will need to get to the base camp. Note: You must be a Grade 4 + paddler to paddle the upper section of the Rong Chu River which is just day and day 2 and 3 rest of the crew can join. 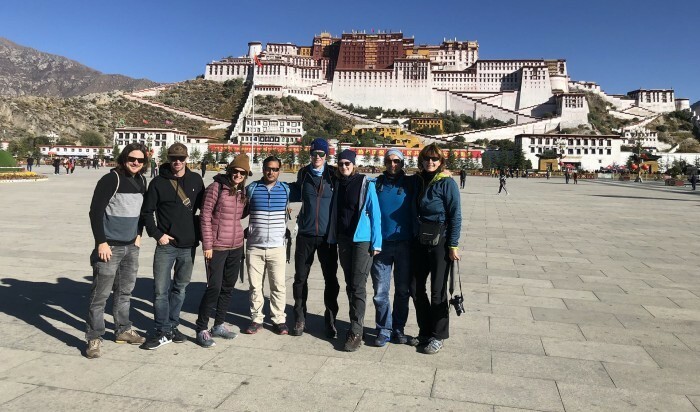 After we have done our one night two days paddling on the Yarlung Tsangpo, we then drive through Shigatse to Rongbuk Monastery toward the Everest base camp and Rong Chu river. After exploring around base camp, we put on the Rong Chu at around 5000m (which may be the highest put-in anywhere in the world). We then spend the next 3 days paddling class 3 and 4 whitewater to the village of Kharta. After that the river enters the infamous Arun River Gorges which flows off the edge of the Tibetan plateau down in to Nepal. This partial circumnavigation of Everest by kayak is a truly amazing journey. 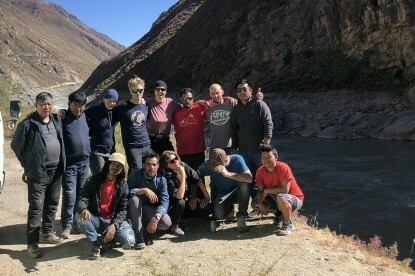 From Georgia’s previous trip is that the Rong Chu is paddleable from Everest base Camp. The first day is the most challenging whitewater, which only grade 4 kayakers will paddle and day 2 and 3 rest of the crew will join. Note: Please contact Adventure Hub Nepal directly for this trip. You will need to present us with a your paddling experience before undertaking this expedition. today we will have to be very flexible because due to the water level if we can’t paddle the Rong Chu we will continue driving to Nepal border and Paddle Lower Bhote Kosi and Balephi. after breakfast will paddle for couple of hours and have lunch and then continue drive to Nepal Border if we have enough day light will cross border today otherwise we will stay night on border and drive back to Kathmandu next days. Today will be ether rest day in Kathmandu or drive day all depend on the day 18 movement we cross border or not, if we we cross border on day 18 then day 19 will be rest day in Kathmandu relaxation and reflection on the whole trip. Write some journal about your amazing experiences as well as explore the Kathmandu valley if you feel like. Get ready for a big celebration dinner and party night which is well deserved! Fly home say good bye to your team member and crew. Adventure Hub Nepal has been operating and organising adventure holidays trips since 2007. Today we can help you discover whole himalayas regions and we can offer high-quality, excellent –value, small group adventure to your interested area of Nepal, Extend your holiday by booking some pre or post tour accommodation- ask Adventure Hub Nepal. Help you plan and prepare for your trip. We do our best to update this information regularly. Please contact us to clarify anything and help plan your trip. Travelling in Tibet at the best of times can be awe-inspiring and will push your perception of the world as you thought you knew it. Tibet is still very rough and wild and for many this is the greatest attraction of Tibet. We are here to ensure that you have the most comfortable trip possible for the places you want to go and the things you want to do. Generally, infrastructure has gotten much more efficient and convenient here in the last few years. Roads are greatly improved; new hotels have been built (some with heating! )but Tibet still involves a number of special considerations. The standard of service in Tibet cannot be compared to western standards, food is often very different and you will have to adjust your expectations. Below are some of the factors that you should bear in mind before and during your time in Tibet. Anyone with a good level of fitness can join one of our kayaking/rafting trips. However, for your own enjoyment, it is important that you read the information we have provided and ask us questions. We give each of our trips a rating. These indicate the effort and challenge level based on the length of time paddling each day, the difficulty of terrain covered and the altitude reached.